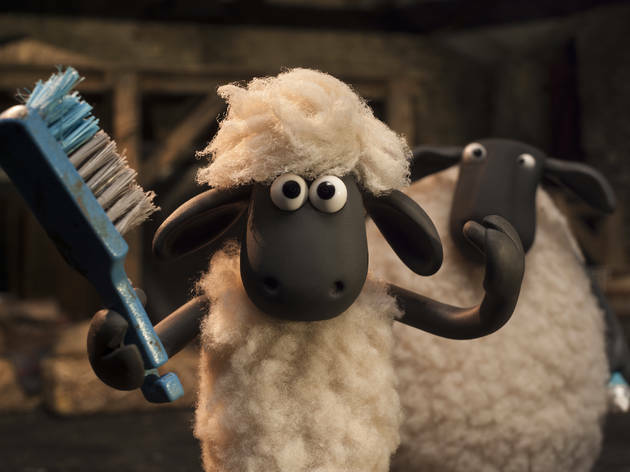 Only Aardman – the British creators of Wallace & Gromit, Morph and other lovable, mouldable characters – could find an irresistible movie in industrial amounts of clay and a story of an amnesiac farmer and his flock at loose in the big city. Much of the beauty of this big-hearted, stop-motion-animated caper (a spin-off of the insanely successful kids TV series) is the entire absence of decipherable language (instead imagine grunts, mumbles, bleats and screams) as Shaun the Sheep tries to engineer a day off from Mossy Bottom Farm and instead causes the often-bewildered farmer to bang his head and wander off into the metropolis (which looks a lot like Bristol, where Aardman has its HQ). Amid the chaos, it’s sometimes hard to work out exactly which sheep is Shaun, but that doesn’t matter when there are great slapstick scenes in a hospital, a hair salon, a fancy restaurant and an ominous animal pound. Maybe an hour would have been enough, but even the slower patches have charm to burn. Taking your child to the cinema usually means getting them seated with the popcorn and closing your eyes for a bit of time out before the credits roll. That's not possible with this film. I went with a friend and our two sons and we were just as wrapped up in this brilliant film as they were. 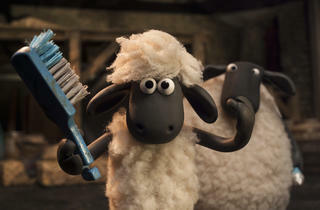 Funny, clever, wonderfully executed film that your kids will love and you will have an ace time too! I agree with Sarah P below.. Superb family film. The prison dog is comedy gold.